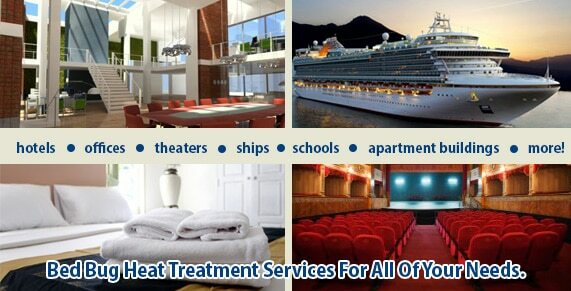 Need Professional Commercial & Apartment Bed Bug Control Brooklyn? BedBug Chasers of Brooklyn, your best solution to Commercial & Apartment Bed Bug Control Brooklyn in office buildings, hotels, conference rooms and anyone else. There are several companies that advertise they can treat “commercial properties” or “multi-unit dwellings” with heat, but it takes more than words to successfully treat office buildings, apartments, hotel rooms or dormitories for commercial bed bug heat treatments safely and efficiently without the need for follow up bed bug treatments. Success in treating large properties, apartment and multi-unit dwellings is only accomplished by bringing enough equipment to do the job right the first time. BedBug Chasers of Brooklyn will heat and treat your entire building safely, efficiently and effectively for complete commercial Brooklyn bed bug heat treatment.